Our client, age 36, was driving his friend’s car home from a Korea Town bar. It was about 2:00 a.m. Our client was unfamiliar with the car and its fuel gauge. In a Nutshell: No file, Compton, 0.09% BAC, CHP fails to report when client last drove, making BAC legally irrelevant under Vehicle Code § 23152(b). He drove about fifteen miles before he began transitioning from the southbound Harbor Freeway (I-110) to the northbound San Diego Freeway (I-405), he felt the gas pedal seem to disengage. He pushed on it harder and nothing happened. The client frantically looked at the car’s gauges to see if the car was running out of gas, losing oil pressure, losing electrical power or even on fire. The client noticed that the fuel gauge showed there was no fuel in the car. The client was simply running out of gas. His drunken friend had failed to tell him that the car was so low on fuel. The client coasted to a stop on the transition ramp. He immediately began using his cell phone to call for his friend to pick him up. His friend did not pick up. So the client decided to walk along the northbound 405 to the first off-ramp to try to buy some gas to take back to the car. It was a long walk. The client estimated he had walked over an hour, trying to find a gas station that was open. However, he was unable to find a gas station that was open at that early morning hour. So he returned to the car, hoping that if the car was towed, he would be able to ride with the tow truck driver and at least know where the car was to tell him friend. Once he returned to the car, the client estimated two hours after running out of gas, the CHP was already there at the scene. The CHP officer immediately accused our client of DUI. He ordered our client to submit to a series of field sobriety tests (FST’s), which our client did. The CHP then asked our client if he would submit to a roadside Preliminary Alcohol Screening (PAS) test, which our client refused but did say he would submit once at the station. This angered the CHP officer. Our client was then arrested and taken to the CHP station less than a mile away. Despite the short drive, our client did not submit to the breath test at the station for over 90 minutes due to a high number of other arrestees in the station. By the time he was tested, it was nearly 3.5 hours after he last drove. His BAC was measured at 0.09%. Once the client was released from custody a few hours later, he called Greg Hill & Associates. Greg met with the client on a Sunday afternoon. The client told Greg the facts of the case. Greg was most interested in the amount of delay between when the client last drove and when his breath was finally tested. The client showed Greg his cell phone, which recorded the times of his frantic calls to his friend just after the car ran out of gas. The client was not sure what time his breath was tested at the CHP station, so there was great anticipation in finding out when this took place. 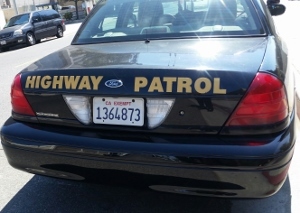 Finally, the CHP report did arrive and it showed that the breath tests were administered well over three hours from the time of the frantic cell phone calls by our client. Before the arraignment, Greg wrote the Compton District Attorney about this, submitting the CHP report and screen shots of the call log from our client’s phone. Greg then called the Compton filing attorney to follow up on his letter, but never was able to discuss the case with the filing DA. However, when Greg reported to court for the arraignment, he was pleasantly surprised to find that the District Attorney had decided not to file any criminal case against our client. This was a significant bit of good news for our client, who travelled to Canada for work about once per month and it meant he would not have the normal trouble that one with a DUI experiences in trying to rent a car in Canada with such a record. The client was happy.